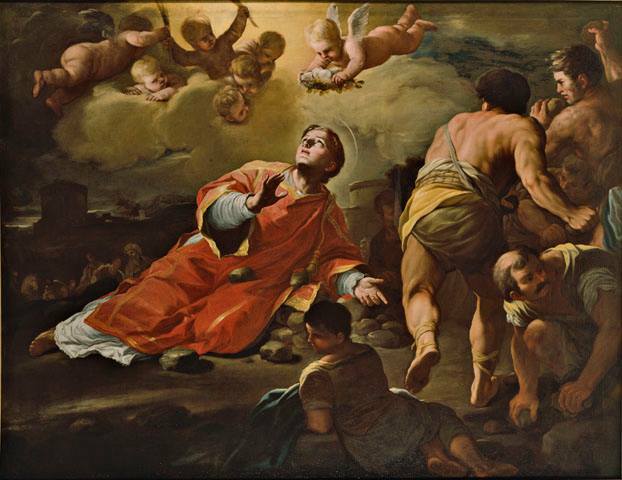 Today is the feast of Saint Stephen, whose name means “crown,” and the first disciple of Jesus to be a martyr. Saint Stephen was the first deacon of our Church; the apostles discerned that they needed assistants to look after the care of the widows and the poor. As you know from the Acts of Apostles, seven deacons were selected by prayer and ordained for service. In fact, sacred Scripture reveals that Stephen’s face looked like the face of an angel as he spoke of Jesus as the promised Savior. His listeners were greatly disturbed at his teaching. Having dragged Stephen outside the city walls of Jerusalem and stoned him to death. Stephen prayed, “Lord Jesus, receive my spirit!” He then fell to his knees and begged God not to punish his enemies for killing him. Let us pray for the courage and honesty of Saint Stephen in the face of trial. Let us, too, pray for deacons.